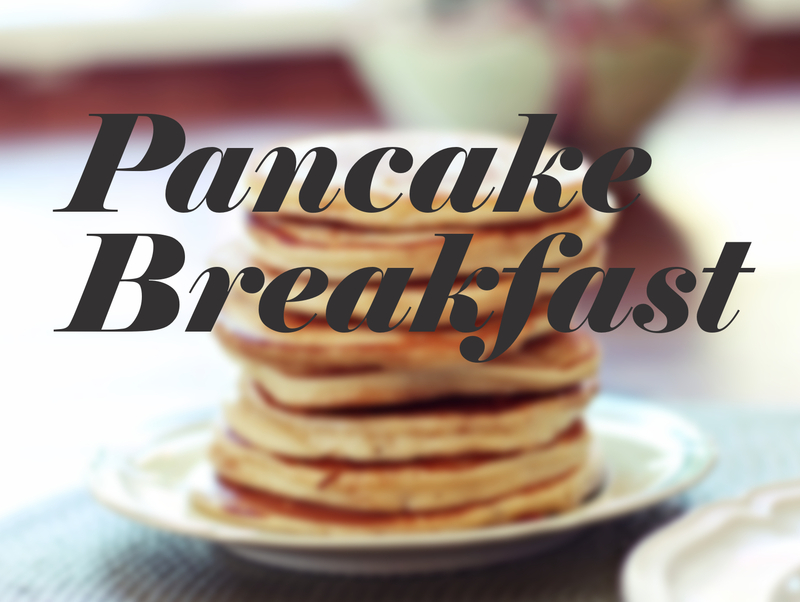 Join us on Saturday, April 14 from 7 am – 11 am at Grace Lutheran Church in Clarksville for pancakes, sausage, juice, coffee, and tea! 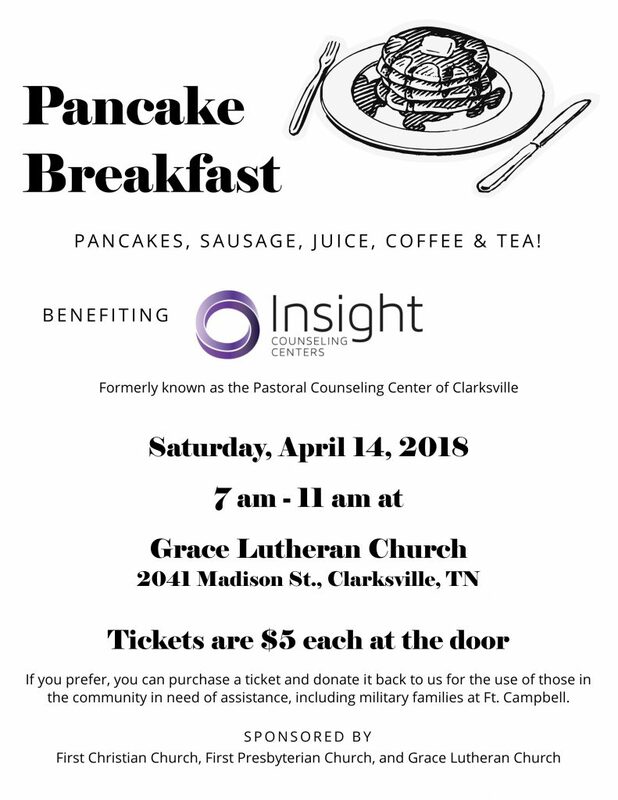 Tickets are $5 each at the door, and proceeds benefit the healing work of Insight Counseling Centers in Clarksville. We hope to see you there! Sponsored by: First Christian Church, First Presbyterian Church, and Grace Lutheran Church.